Last weekend, Grandma was in town and we took an opportunity to sneak out for some dinner but didn’t feel like venturing too far. In the past we have loved a bit of Tapas at Manna on North View, which has recently changed to Mesa Tapas & Bar….so we decided to give it a try! We were pleased to learn that Mesa is still under the Prego Restaurant & Bar umbrella with a revamped, compact menu and refurb with draped pendant lamps, booths and a central table giving it a stripped back cool vibe. Initially, it seemed appropriate to try the cocktail menu, especially as some of the staff are experienced mixologists….so I started with a Montenegro Spritz which was a welcomed change to an Aperol Spritz. The Amaro Montenegro has an interesting blend of bittersweet, herbal, floral and fruit notes, and well regarded as a ‘craft’ liqueur. I was also offered the opportunity to order off the cocktail menu too. We also tried the tempronillo which was medium bodied red which was a great food accompaniment. 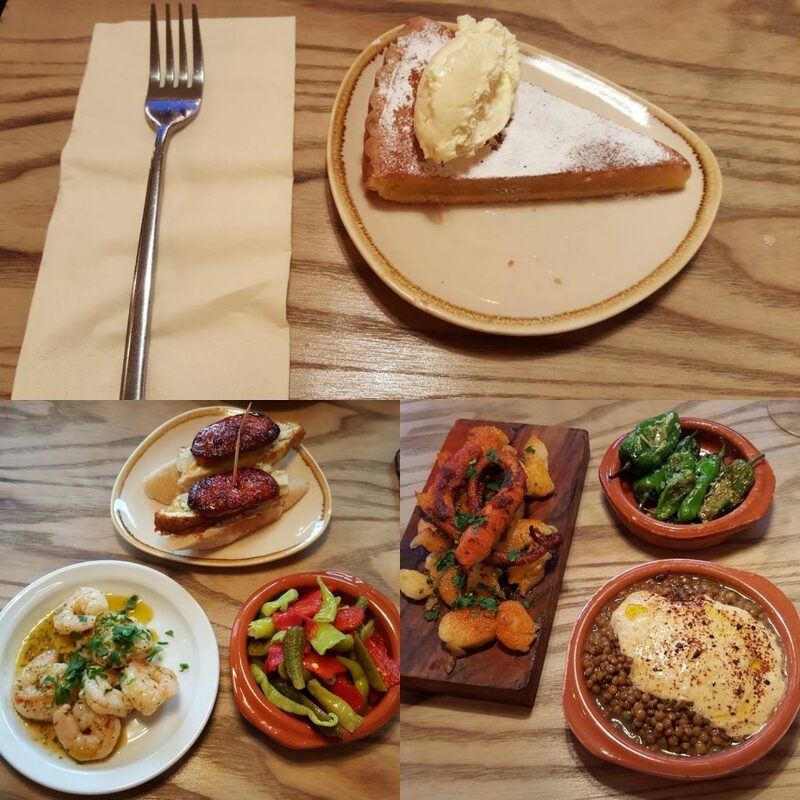 We started out by ordering the piri piri prawns, mesa pickles and the chorizo and tortilla pinxos, all a fantastic start with our drinks. Further along, we really were drawn to the pulpo a la Gallega, which is a beautiful Galician braised paprika octopus dish which is then browned and served with potatoes. The octopus was super tender and a pure delight! Along with that, we had some Padron peppers which are a great addition or just good on their own, and also some Syrian lentils with cumin yogurt…which were made even more delicious with the paprika potatoes mashed in for a thicker finish! With a little room left, I ordered a Tarta de Santiago, a Galician almond cake with notes of orange. Hoping to have it all to myself, I was disappointed to have to get 2 folks, as Mr Fuss Free Foodie (who is a Bakewell tart fan!) realised that this was frangipane style heaven! I think I will need to return just to right this wrong!! All in all an excellent evening, helped along by knowledgeable, down to earth staff with a side order of humour! We look forward to coming back again soon!